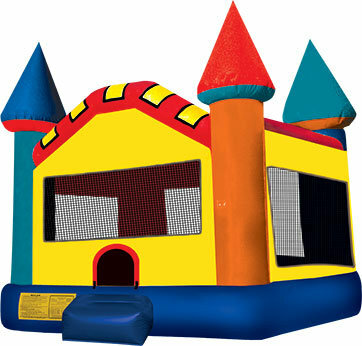 Jumbo Bounce Castle House Rentals | BounceGeeks.com Richmond, VA.
Jumbo Bouncy Castle is perfect for any event! This is the largest size bouncer we have, and is really cool looking with lots of different colors. It's a great choice for events because of the castle theme which appeals to kids of all ages. You can't go wrong with this classic colorful castle!